With these funds, 20 bikes have already been put in service in the Democratic Republic of the Congo to be used by ministers preaching the gospel there. 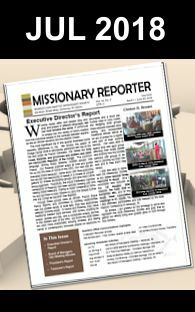 The Seventh Day Baptist Missionary Society has now started communicating with SDB leaders in other countries for cooperative projects to see how many more bicycles we can put into The Great Commission. The Philippines, Nicaragua, and Kenya are among the potential countries where bicycles could be very valuable in ministry. Thank you all for your participation and God’s grace in making this and all things possible to His glory.